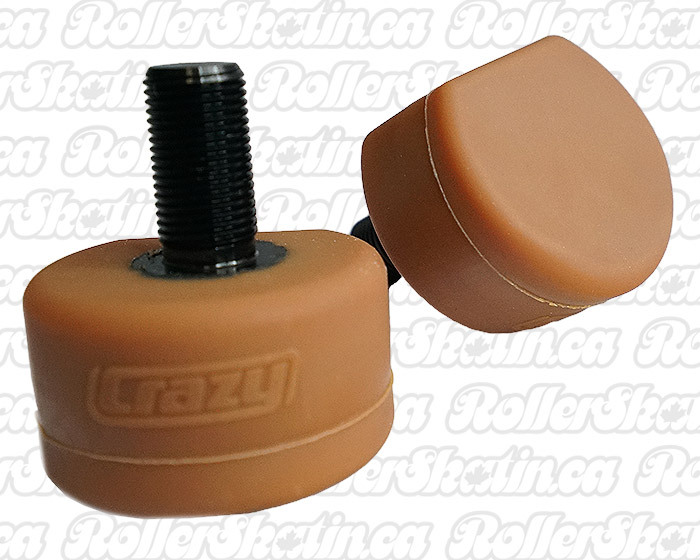 The BEST Long-Lasting Derby stopper for Stability out there! 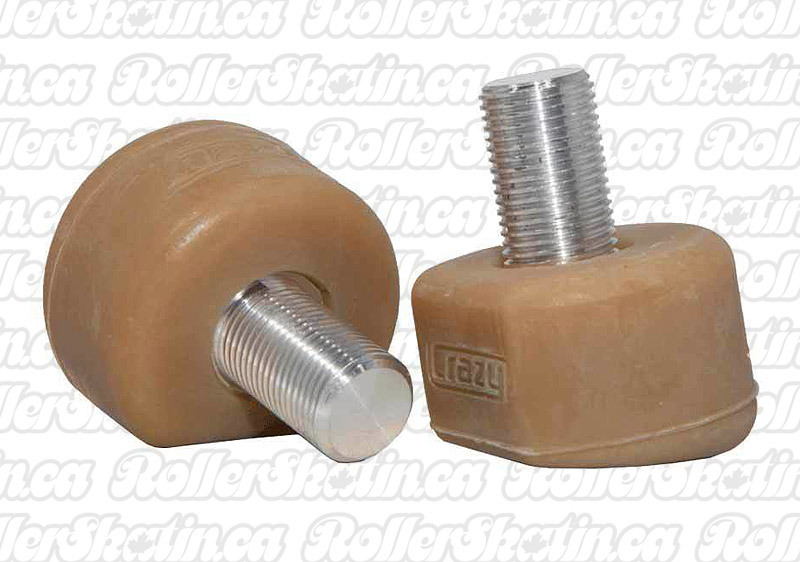 Rated The BEST Long-Lasting Roller Derby Stopper Out there!! Built Aussie Tough! CRAZY Bloc & L'il Bloc 100% Rubber Stoppers feature Non-Marking Premium High Rebound Rubber on a standard U.S. threaded post which fits all the most popular plates out there! Specifically designed for Stability. Long Lasting and extremely Durable! Available in two sizes: Li'l Bloc (45mm wide) and Bloc (57mm wide). Set of 2 stoppers. I guess I was a little uneducated at the time when I bought these stoppers and go the lil Bloc instead of the 54mm. If you are looking for a bigger stopper then a traditional gumball, for sure go with he 54mm. Having said that I have Jammed and Blocked successfully with these stoppers all season. Great quality.